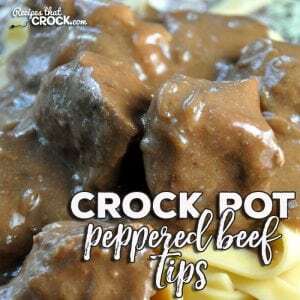 Easy Crock Pot Peppered Beef Tips - Recipes That Crock! 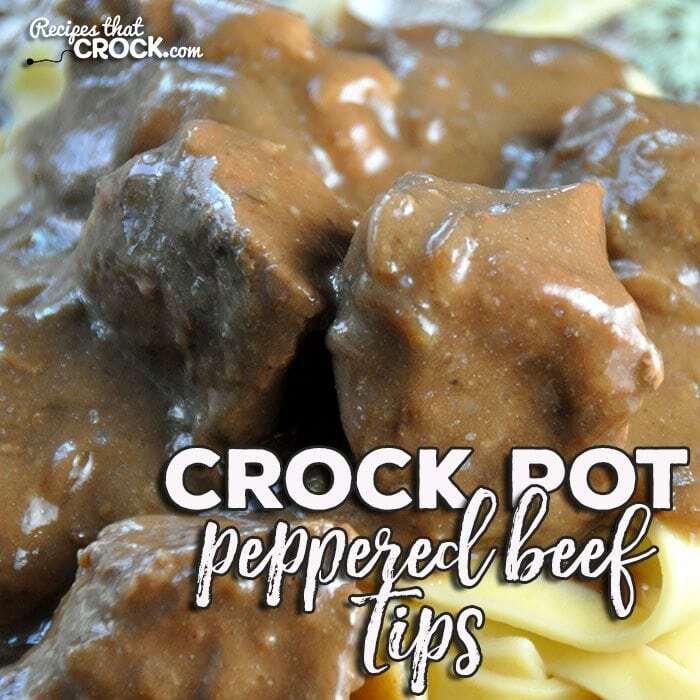 This Easy Crock Pot Peppered Beef Tips recipe is so easy to put together and will have everyone asking for more! What more could you ask for?! Heavens to Betsy! These. Are. Good. 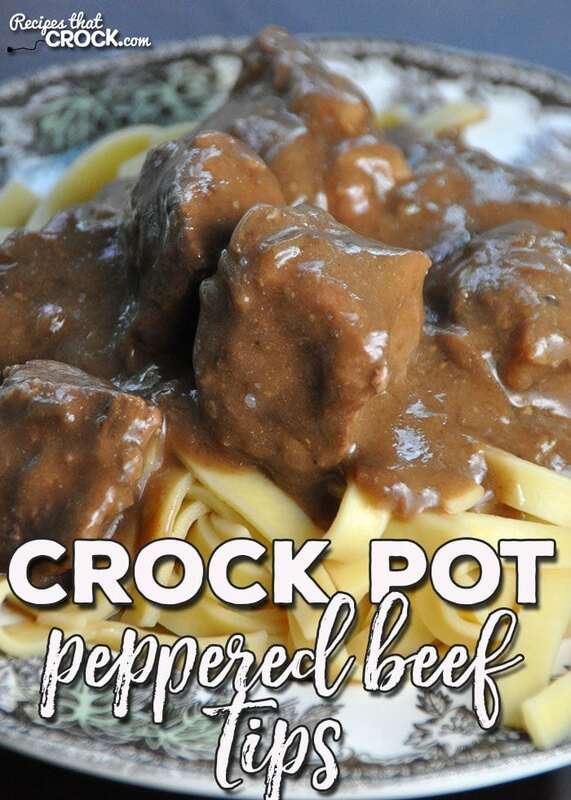 Michael, the kids and I devoured these Easy Crock Pot Peppered Beef Tips I adapted from Crock Pot’s 365 Days of Crock Pot Recipes! And when I call them easy, I mean crazy easy! They can be thrown together in about 2 minutes flat and cook all day. 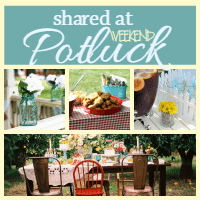 You’re friends and family will be singing your praises when you serve up this delicious dinner! 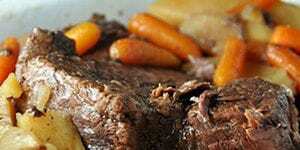 Mr. Big to cook this up, but you can use any 4 quart slow cooker. 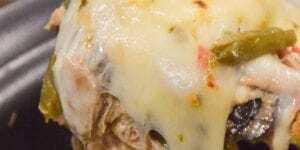 I didn’t put a measurement for the pepper in this recipe, because it is really up to you. I did a heavy sprinkling on top of the soups before I mixed everything in and wasn’t sure if it would be a “peppered” flavored recipe. I was pleasantly surprised that it had a great peppered taste! If you like a little more kick, then add in more pepper. Are you a little more timid when it comes to spiciness? Sprinkle a little less! 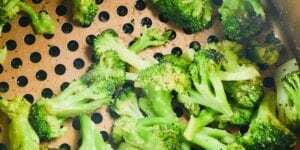 I didn't put a measurement for the pepper in this recipe, because it is really up to you. I did a heavy sprinkling on top of the soups before I mixed everything in and wasn't sure if it would be a "peppered" flavored recipe. I was pleasantly surprised that it had a great peppered taste! If you like a little more kick, then add in more pepper. Are you a little more timid when it comes to spiciness? Sprinkle a little less! So you do not brown beef? Nope! 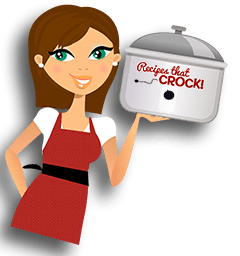 You just put it in your slow cooker! Easy peasy! Enjoy! Do you make the brown gravy as directed or just put it in without the water? You just use the mix (without putting in the water). Enjoy! these sound very good, I am always looking for a good recipe for tips. 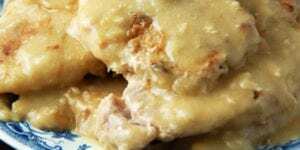 I am going to get some stew meat and make these, think my picky hubby will love them too, thank you aunt Lou. You are quite welcome Roxanne! 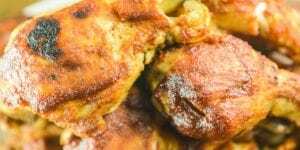 This picky eater loved this recipe! Enjoy! Because of severe allergies, we can not use Cream of Mushroom soup, what other cream soup can we use? Thank you. 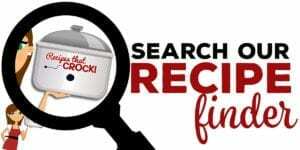 Cris has a cream soup substitute recipe that you could use. (link below) If you want to use store bought, I would try cream of celery. Enjoy!